It's hard to put into words exactly how much joy it gives me to watch these two together. 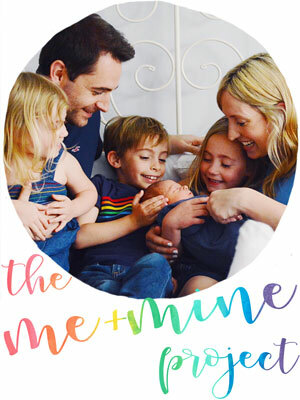 From the moment that our family went from three to four I was obsessed with seeing my two children together, even when in those early days it was simply sharing some eye contact or a little smile. But as they have grown older they have just got closer and closer. And while with each month that passes I don't think they can possibly get any closer, somehow they seem to manage it. They are such complete and utter best friends; they light up for one another, they live for cuddles with each other and to make the other laugh. And while they do have the odd squabble now and again, they really are few and far between and while they can both hold a grudge against us grown ups for a good length of time after a telling off, all is quickly forgiven for each other. This past month the little lady's language seems to have experienced a total explosion. The simpler sentences are now increasingly complex and she understands so much (I think a lot more than we often give her credit for), and with her increasing vocabulary and improved communication has come even more sibling fun. They share so many imaginative moments together now as they play (all instigated by her who is the more imaginative of the two) and their games are increasingly more and more elaborate. The result is often carnage for poor old mummy, as their favourite games at present seem to involved collecting every single cushion and pillow from every single room, and using them to build dens and big beds together. They also chat more now at bedtime (when we really wish they would just go to sleep) but listening to them talk about their days and tell each other little stories often leaves me lingering at their bedroom door to catch the little gems they come out with. They are the epitome of the word "tight" and it's becoming impossible to ever imagine them ever being anything but that now. The end of the summer will see our little man head off to big school, and see our little lady start at preschool. And while approaching last September I was filled with worry about the affect that separating them for part of the day while he was at preschool would have on their friendship, I'm not so worried this time around. My babies are growing up, but they aren't growing apart... instead they are growing together. They are tangling up the stories of their lives with one another's, making memories and sharing memories and building something so strong... something that is stronger when they are together. 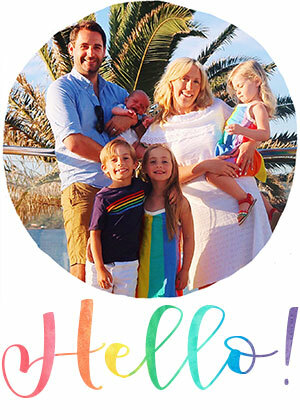 This month I'm sending you to visit the lovely Keri-Anne's blog Gingerlillytea. Keri-Anne's girls are adorable, and her pictures of them together are always stunning; a real treat. So do make sure you pop by and take a look. And follow the loop around to visit all the other cohost too when you get a chance, they'll each have something lovely to share. This is so lovely! 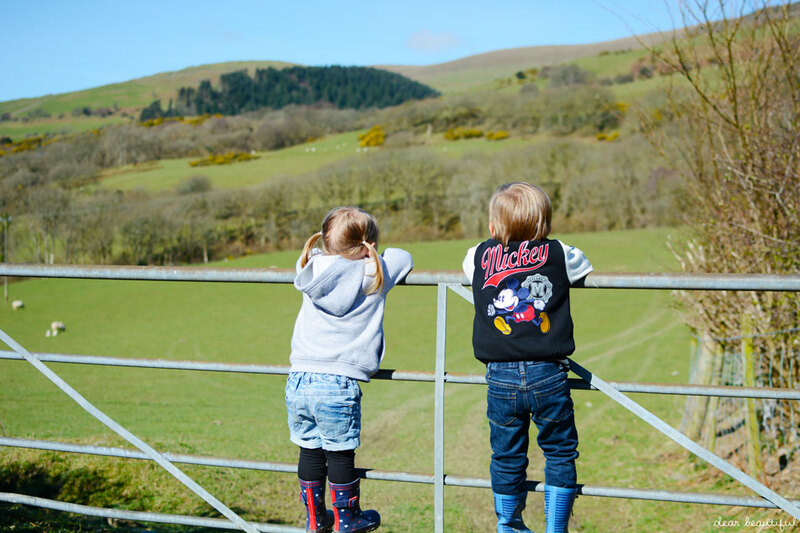 It's beautiful to hear how you speak of their friendship and bond - I'm sure once they start school they will be so excited to come home and share their stories with each other that this will only increase more - good luck to them :)! 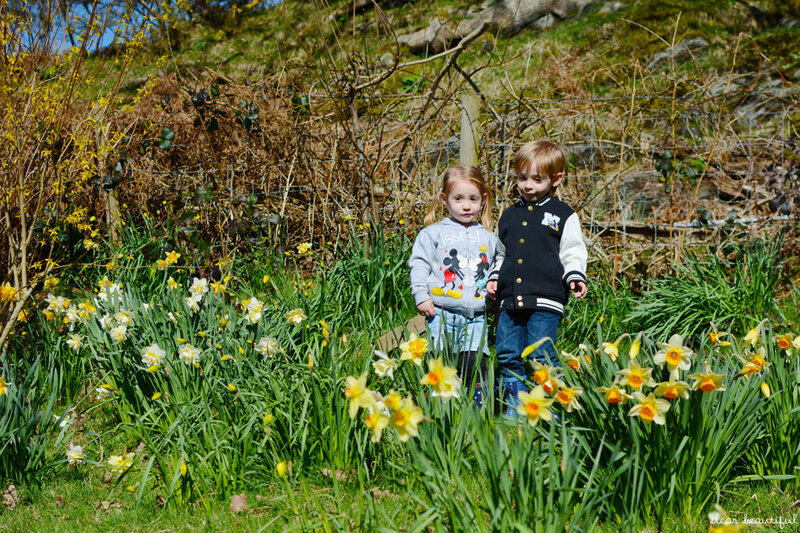 Aww what gorgeous photos - they look wonderfully spring like among the daffodils and as always the best of friends. I have no doubt that they'll stay just as close when they go their separate ways in September - although the bedtime chats might get a little bit longer when they've more to tell each other! Beautiful photos. And so encouraging - we're behind you in ages, so it's lovely to see the sort of things I can look forward to with my girls. I'm excited to listen to them having chats! Oh their disney outfits are amazing! Love that it's still in full love for all things disney. 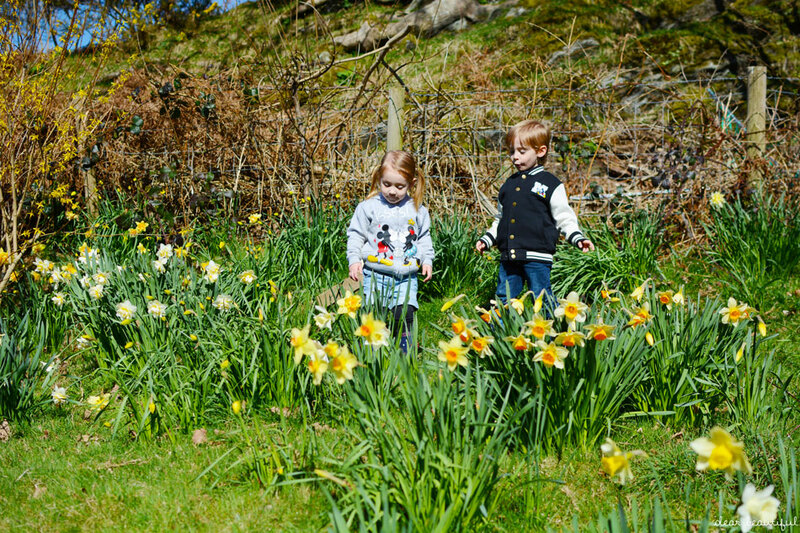 Them both exploring in the daffodils and sun looks so gorgeous. Can't believe with all thats going on with sickness and schools and packing for France I didn't have siblings ready yet. Naughty me! Off to work on it Thanks for hosting my dear!! beautiful sunny photos. i totally get what you mean by being obsessed with them together - i'm the same! It's lovely how they're so close, you really capture that in your photos. I hope they stay that way. I love that they are so close and I'm really hoping that I get the same for my two too. Reading your blog gives me hope! You should definitely recreate that top photo in 5years, 10yrs etc. Daffodils! Oh these are as gorgeous as ever. I love their Disney souvenirs. 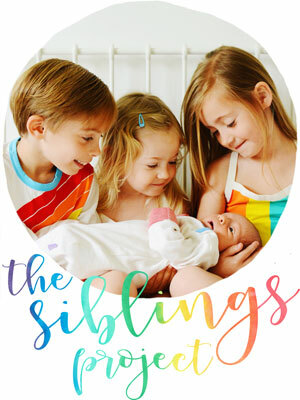 My first time linking up as I know have 2 babies and not just one! Thanks for the opportunity to make memories!